Simplicity is the key to our gourmet mint sauce...sugar, water, cider, vinegar, pectin, mint, sea salt and lemon juice. Wholesome ingredients in perfect combination for mint jelly that's deliciously remarkable. Mint's aromatic bouquet is matched only by its enchanting flavor. 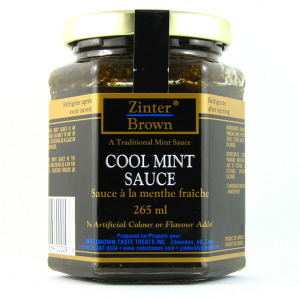 Zinter Brown Cool Mint Sauce or jelly always brings out the best in a lamb recipe. 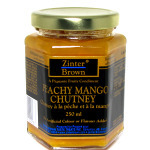 melted as a dip for meatballs, chicken fingers or samosas. This charming mint jelly will surprise and delight! Too good not to share, our gourmet sauces are available online. 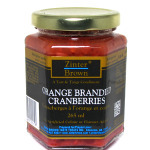 Made in Alberta, but with an international flare, you'll fall in love with Zinter Brown creations. Consider a gift crate or basket for that hard to buy for person, or add great taste and variety to your pantry. 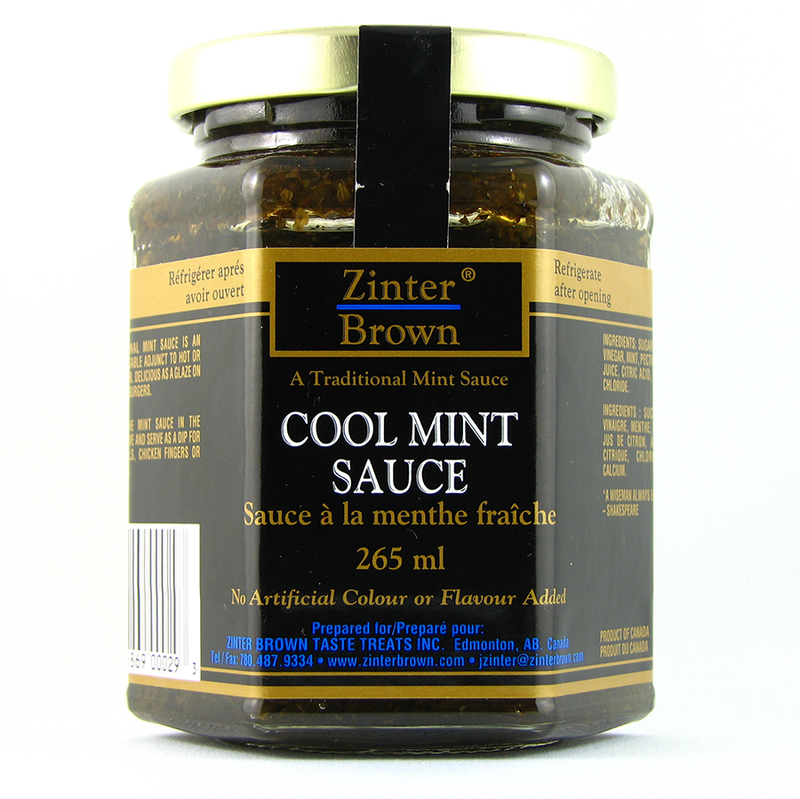 Order a jar of Cool Mint Sauce today!